1. Ask yourself which would make the better parent and spouse: If you’re looking for a serious commitment, this is a very important question. Maybe the person who’s the most fun isn’t the one who would make a good spouse. Maybe the one you’re most physically attracted to wouldn’t make a good parent. These are the things you need to plan for! 2. Think about the kind of feelings you have: Your relationship with one person might be much more mature than the other, and you have to decide whether you want that mature relationship right now. One relationship might be more formal, whereas the other might be more casual and playful. You need to decide what kind of relationship you want and which partner can give that to you. 3. Look back at your history with each of them. Have you spent more time with one than the other? If both people were to ask you out and made plans for the same night, which one would you be more inclined to turn down? Chances are, you have a gut feeling telling you which one to choose, and it might be a good idea to follow it. 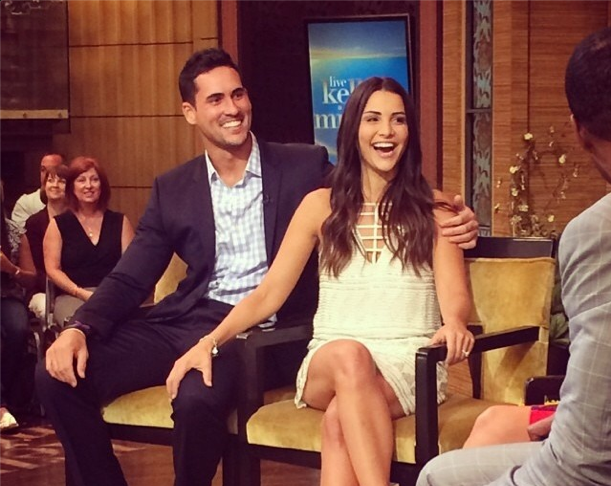 Have you ever made the tough decision between two people like Andi did on The Bachelorette? How did it go? Let us know in the comments!